Join us for an opportunity to get your AXE into Networking and connect with your community and fellow Chamber members at our next Networking @ Night event. The Airdrie Chamber of Commerce invites you to come and experience the unique atmosphere at Rival Axe Throwing, throw some axes, enjoy a beverage and some lite bites at Airdrie's indoor axe throwing facility. Axe throwing has been around for years, traditionally seen at lumberjack competitions. This competitive exhilarating sport is becoming increasingly popular! 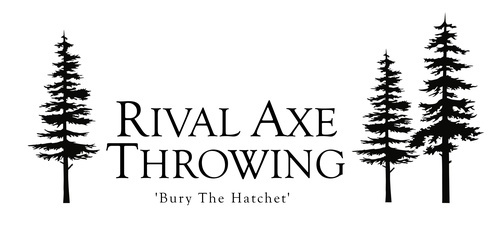 No experience is necessary, the friendly coaches at Rival Axe Throwing will show you how to throw an axe while attempting to hit the bullseye. Aim to win some great prizes for enthusiasm & skill. You won’t want to miss this AXEcellent installment of our Networking @ Night series. Spots are limited, so "Chop Chop" and secure your tickets today! Ticket includes an hour of axe throwing, a beverage of choice and some lite bites.